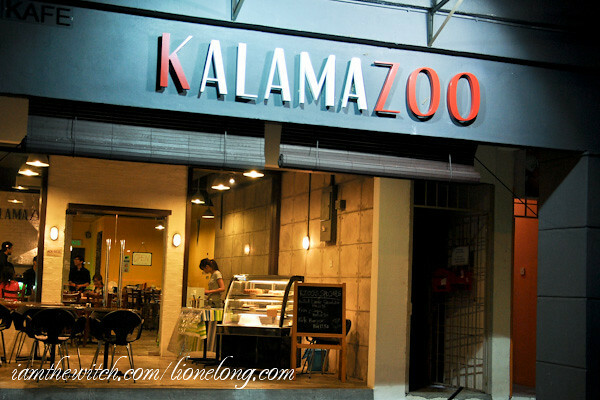 Kalamazoo, the largest city in the southwest region of Michigan state in the U.S., is now also the name of a newly opened restaurant located in Aman Suria, PJ. The brainchild of 4 affable and young Western Michigan University (WMU) graduates, their love for food has brought them together in starting this restaurant that serves food with the Kalamazoo influence. 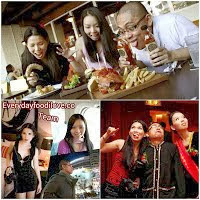 Walking into the restaurant gave me a feeling of warmth, especially with pictures of their university life plastered on the walls. 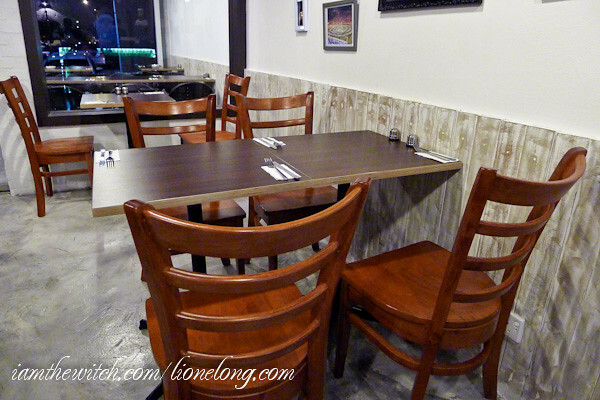 The restaurant was minimalistic with straightforward, wooden furniture and warm lighting. Dining environment in Kalamazoo While waiting for our food to arrive, I ordered what most girls would from the drinks menu – the Peanut Butter Chocolate Milkshake. 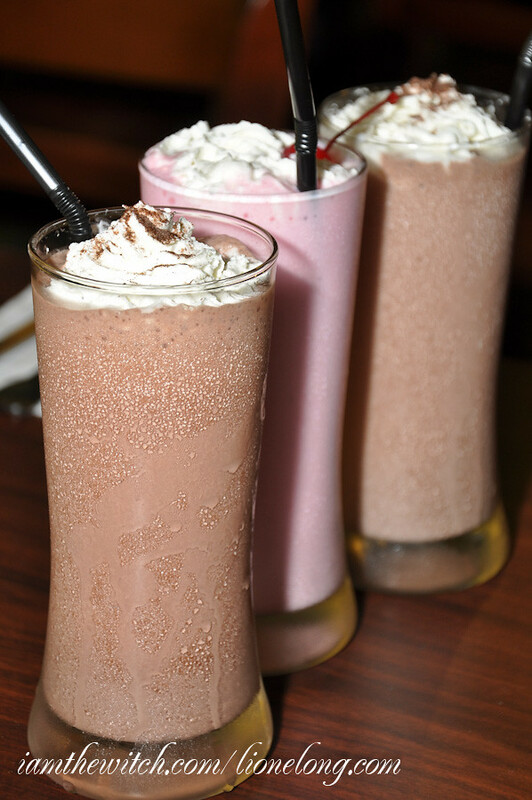 The drink arrived in a thick and creamy chocolate concoction with a distinct peanut butter taste within. It was gloriously rich and extremely comforting, that it was worth all the extra calories that I was going to get! 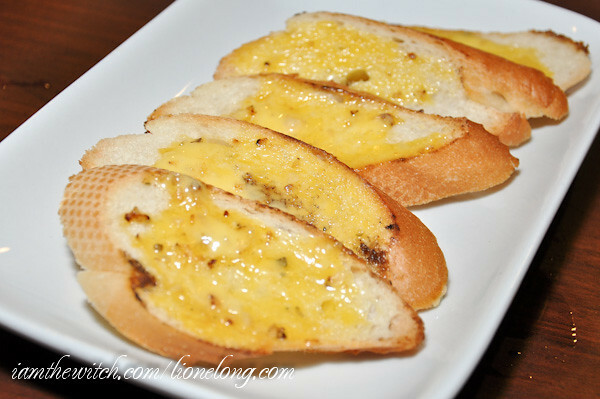 The plate of Garlic Bread came with a bright yellow layer of garlic butter on top, crispy on the edges and warm in the middle. I would have preferred it if more garlic and less butter was used, but that’s just because I’m not a big fan of butter. 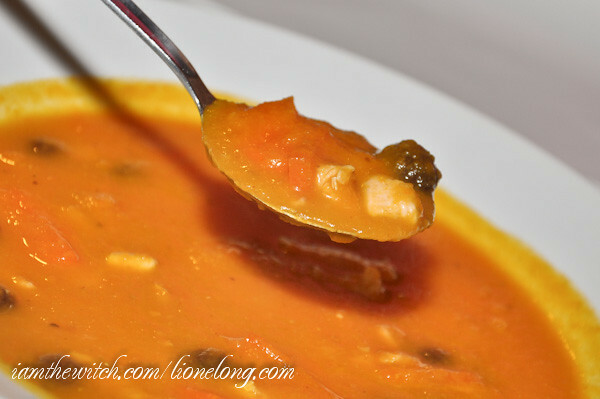 The soup of the day was Chicken, Carrot and Coriander Soup, which surprisingly tasted very similar to pumpkin soup! It was hearty and sweet, with plenty of chicken pieces within. Saucer gave his thumbs-up for this. 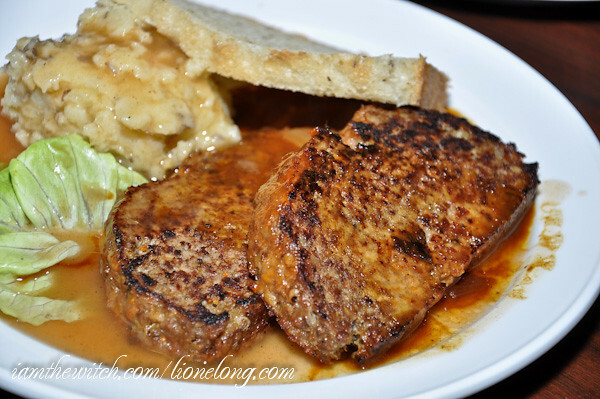 The first main course that we had was Alex’s Beef Meatloaf, served in two huge and thick pieces with a side of mash potatoes. 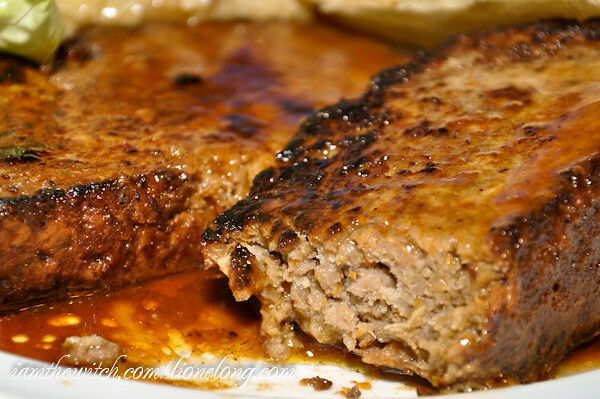 I have to say, this was one of the better meatloaf that I’ve tasted! The meat within was tender and juicy, while the edges were slightly charred and crispy, giving it a nice bite. Although this was good, it could get pretty overwhelming when too much was consumed at one go, so share it! The Pine-Chutney Pork Burger was a tall stack of toasted bread, tomatoes, melted cheese on pork patty and lettuce, with a side of fries. 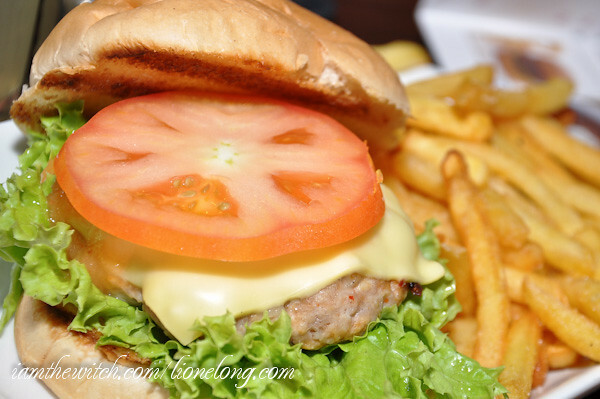 I thought the pork patty was thick and tender but a little bland – thankfully the melted cheese did help to make it more savoury and delicious. 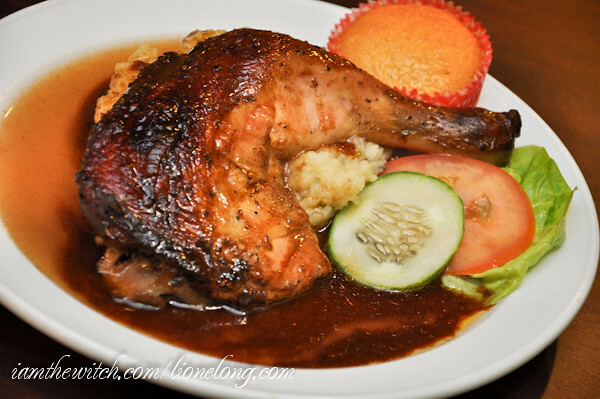 Callahan’s Roast Chicken was nicely roasted and served on a bed of mashed potatoes. 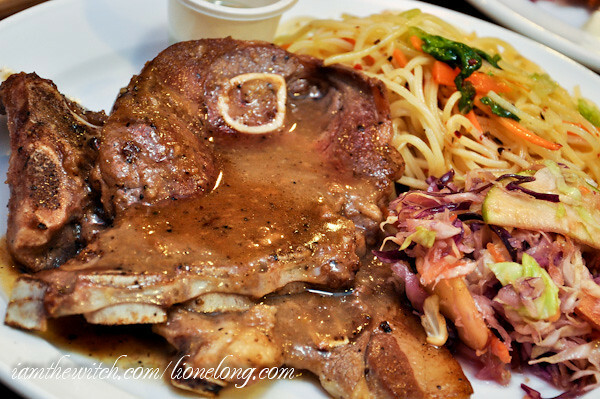 The meat was smooth and falling-off-the-bone tender with juices intact. I couldn’t get enough of the mashed potatoes that went very well with the gravy, too. Comparing the roast chicken and the Pesto Cheesy Chicken, I was surprised to find myself liking the latter more! 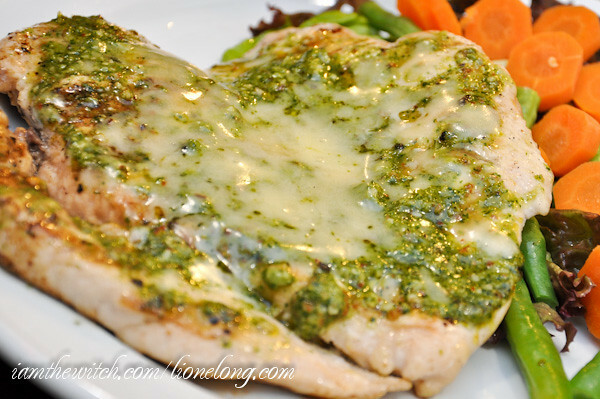 Made from grilled chicken breast, the meat was amazingly not dry or bland like I would expect to be, but very tender and delicious with the melted cheese and pesto on top. I would say this was my favourite pick of the night! 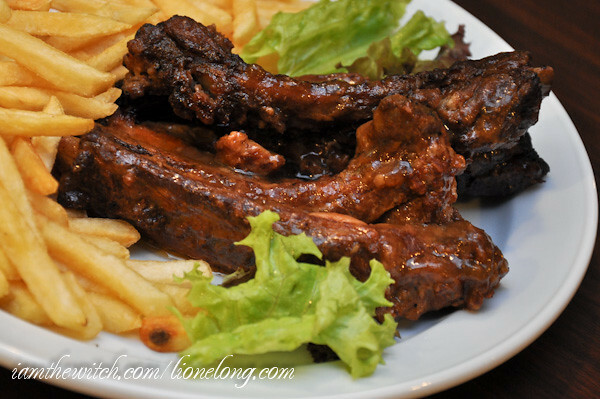 The K’ZOO Style Tender Ribs were grilled pork ribs with tasty gravy to boot! 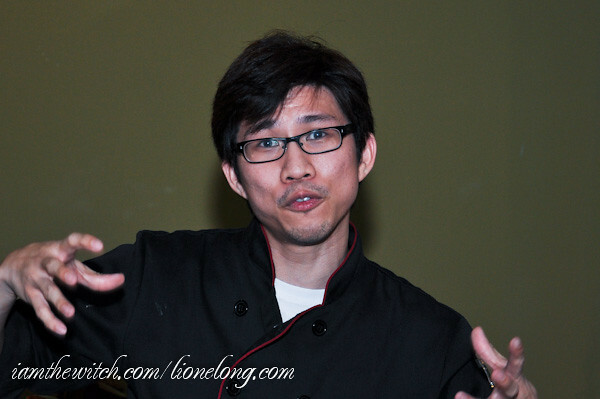 I was glad to find that the meat was not fatty and the flavour to be nicely infused within. Well done! Our last main course, the Grilled Lamb Shoulder was perfectly done in medium, with a distinct pink but not bloody shade inside. The meat was not overly gamey, juicy and went well with the gravy. I wasn’t particularly impressed with the side of spaghetti that was a tad too sour for my liking, but who needs that when the lamb was so good? 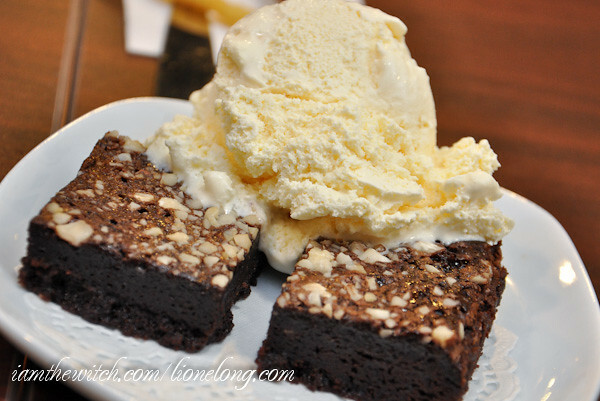 For desserts, I highly recommend the Chocolate Brownies with Ice-cream on top. The brownies were so moist, velvety and rich in chocolate like no other! Couple that with the cold vanilla ice-cream, it doesn’t get any better than this. The dinner in Kalamazoo was definitely an interesting and delightful experience with the company of the friendly owners and the delicious milkshakes!